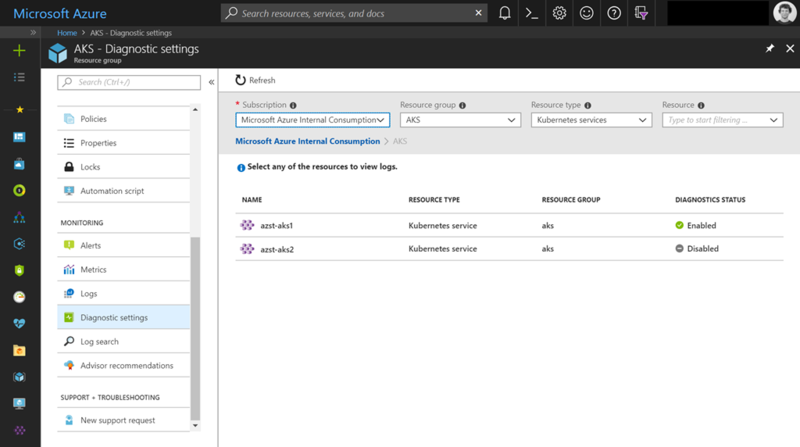 Azure provides native monitoring capabilities for an Azure Kubernetes Service cluster based on Azure Monitor, Azure Log Analytics and the Container Insights solution. But this covers only the part for the agent nodes and the containers that are running on them. 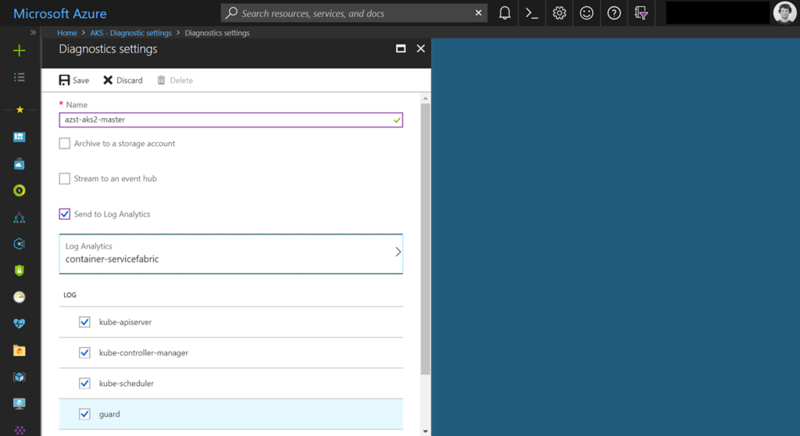 If you want to have the logs from the AKS master endpoint, then you must configure the Azure Monitor diagnostic logs first. 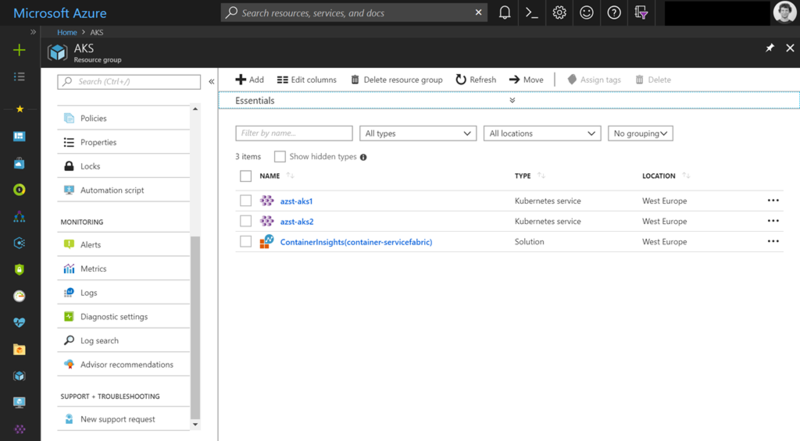 The Azure Monitor diagnostic logs are available for the following Kubernetes master node logs. Just jump into the resource group that contains your AKS cluster deployment and click on Diagnostic settings under the Monitoring section. Next step is selecting the AKS cluster you want to have the master node logs from. Click on “Turn on diagnostics” to get the configuration blade. On the configuration blade itself you can choose to archive the master node logs into an Azure storage account, stream them to an Azure Event Hub or send them to a Log Analytics workspace. I am prefering the last option as an addition to the container health solution mentioned in the beginning for monitoring the agent nodes and containers. The last step here is to select the master node logs you want to receive. After the configuration of the Azure Monitor diagnostic logs we can now enter the necessary search queries to retrieve the master node log entries from the Azure Log Analytics workspace for further inspection and troubleshooting support. | where Category == "kube-apiserver"
| where log_s contains "deployments/go-webapp"
| where Resource == "AZST-AKS2"
| where Category == "kube-controller-manager"
As you can see it takes only a few steps to get additional insights of your AKS cluster configuring the retrieval of the master node logs.